Samsung Electronics announced its newest speaker which offers 32-bit ultra-high sound quality performance. It is the new standalone sound technology that reflects the needs of customers who enjoy listening to hi-fi audio. The Samsung H7 Wireless Speaker sports with a stunning sound quality, premium design and intuitive user experience. It offers a 32-bit ultra-high sound which will be showcased at 2017 CES Event. It has a sleek metal finish that offers a premium look. The Samsung H7 Wireless Speaker sports wheel control that lets you increase or decrease the volume. Users can also select the playlist from the different streaming services. 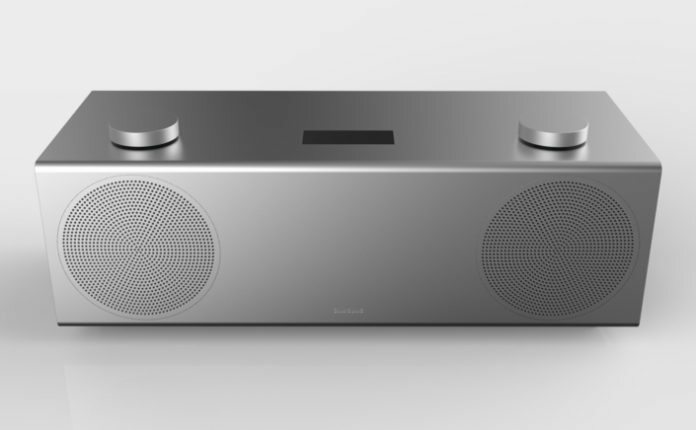 Samsung H7 Wireless Speaker also reflects superior innovation in design. With its contemporary metal finishes that appeal to even the most discerning to the consumers. Its compact size and a retro exterior, the H7 Wireless Speaker, allow music to be a centrepiece of any room. The embedded UHQ 32bit audio technology enables detailed sound from any source that provides 8 to 24 bit sound. It must note that h7 wireless speaker is a regular speaker which does not equip with smart voice assistant. Google Home or Amazon Echo is offering the smart voice assistant to their speakers. Earlier this month, the Korean company announced that Samsung Galaxy S8 sport stereo speakers. In addition to Samsung H7 Wireless Speaker, the company also introduced M9500 UHD Blue-ray Player and MS750 Soundbar. All these products will showcase at 2017 CES Event.